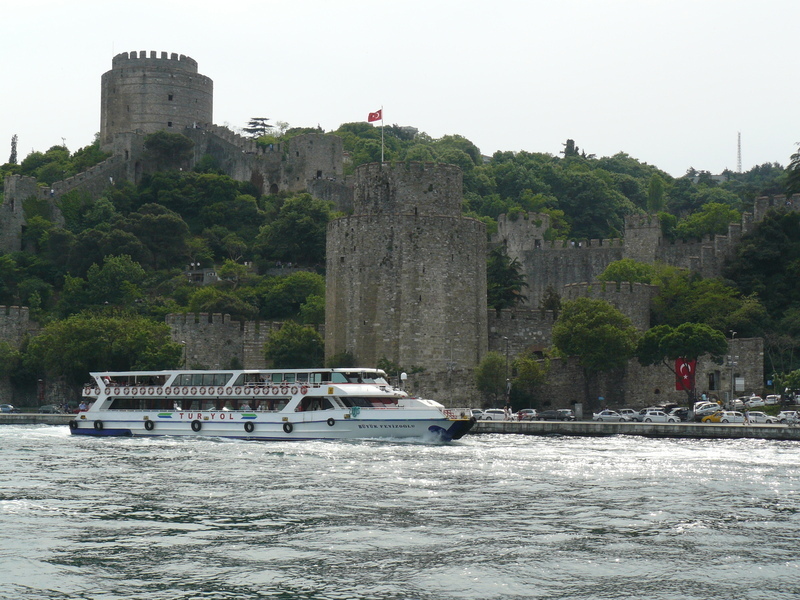 Go for a day trip up the Bosphorus. 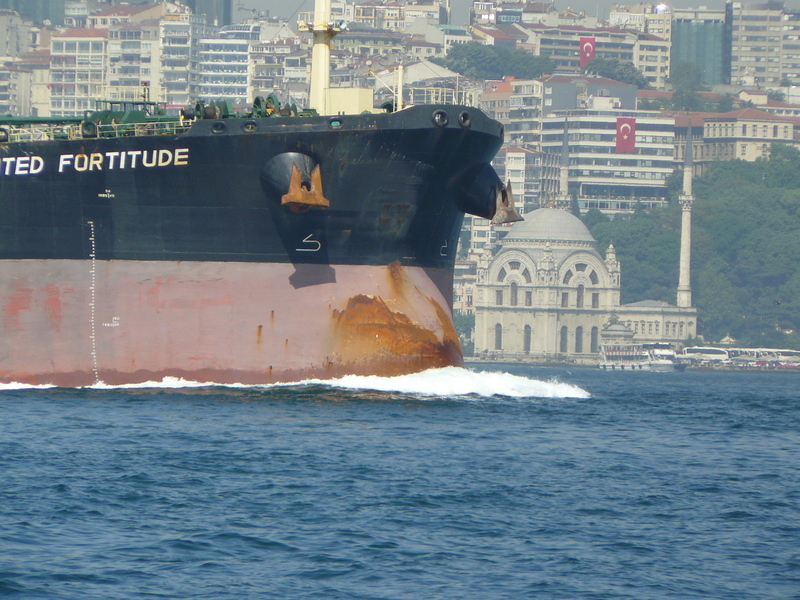 Leave Atakoy around 8:30, motor through some incredible sewage surrounding the 50 odd tankers anchored on the European side of the entrance. Cross the TSS at right angles near the entrance buoy then try to keep on the outside edge of the north bound TSS, the Asian side. 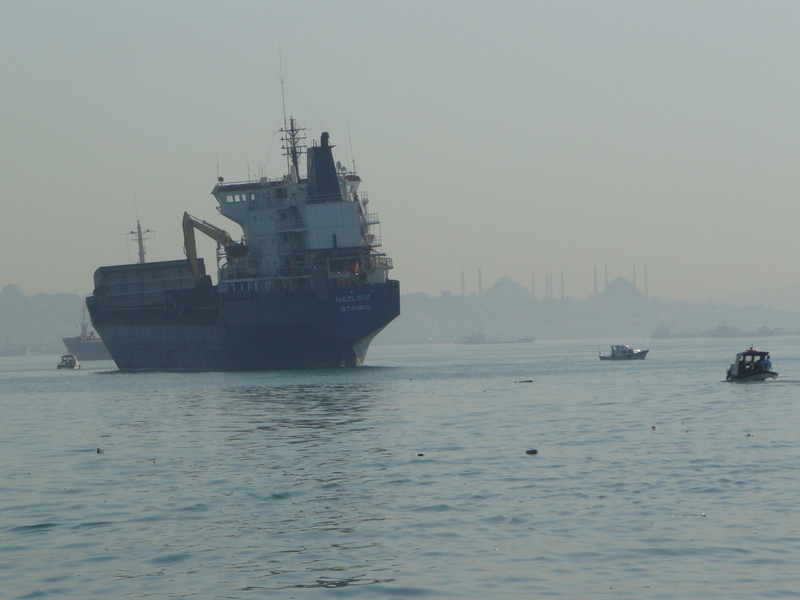 Traffic through the Golden Horn is heavy but manageable. As it was before noon most of the tanker traffic was up-bound with the big boys moving at 12 knots. We are making about 6 knots with a 3 knot adverse current. 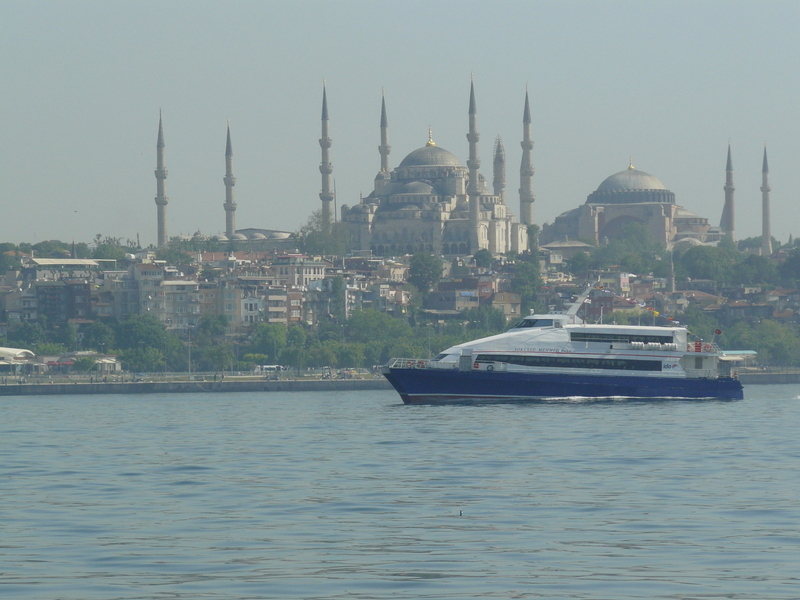 Ferry boats and tour boats are travelling every which way. One small ferry overtakes us then cuts sharply in front of us forcing us to alter course. 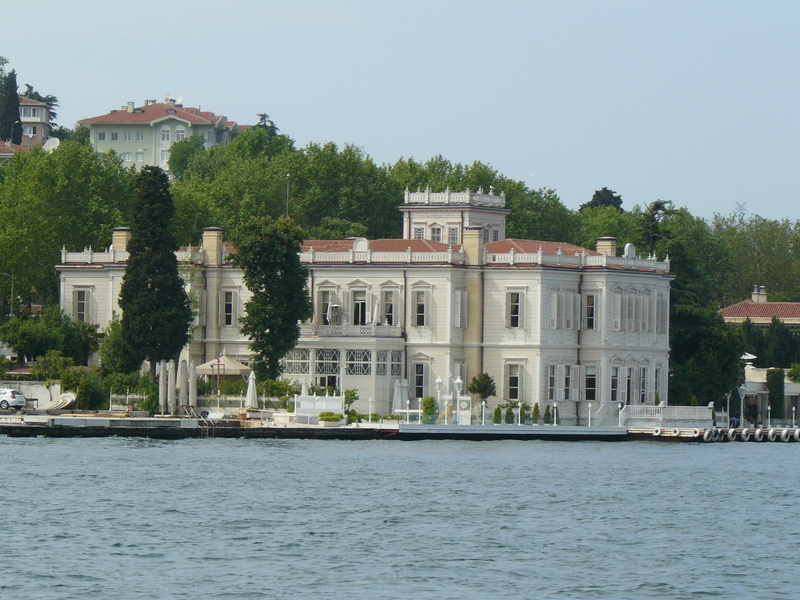 The views of the palaces and the shoreline are tremendous. 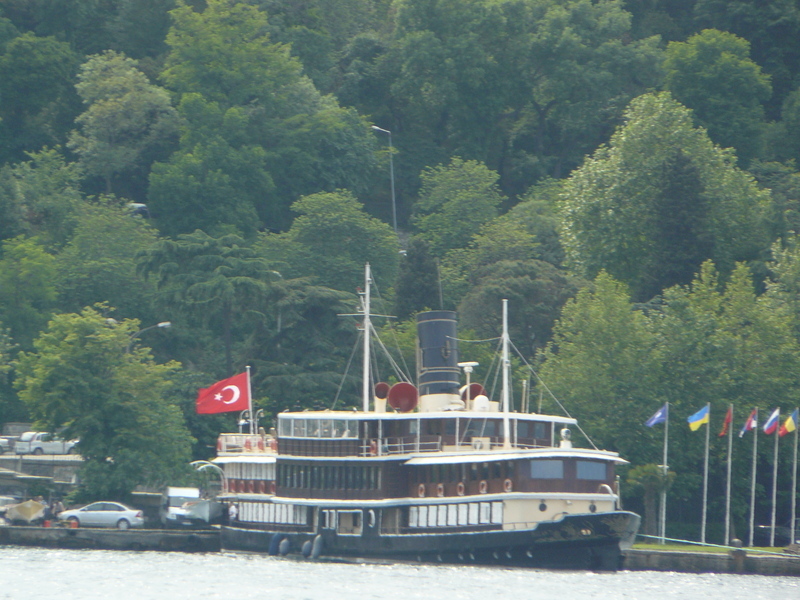 Motor on past the entrance to the Black Sea at 11:30 , then set sail back to Poyraz, drop the hook and have a lovely lunch aboard. Water here is lovely and clean and many local boats are anchored and swimming. 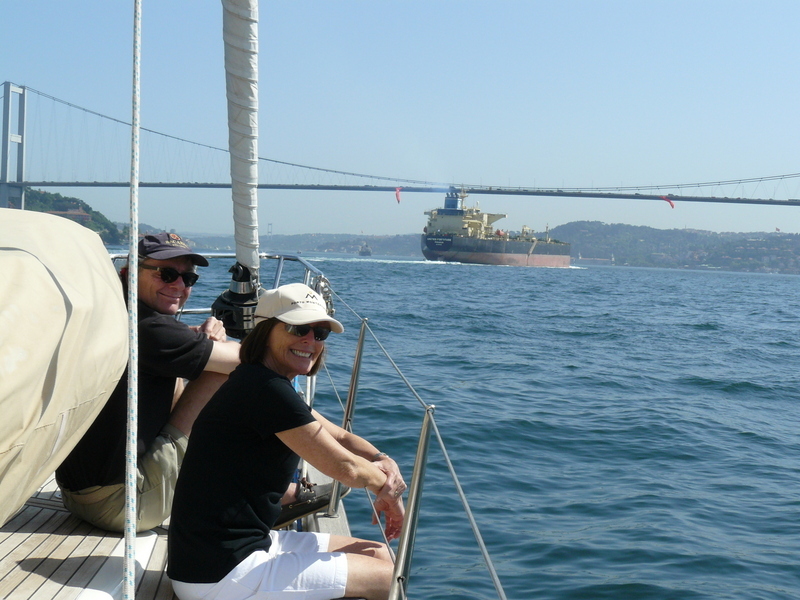 Set sail back down the European side of the Bosphorus, again holding the edge of the TSS. Wind dies about half way to the Horn and we motor the balance of the way back to Atakoy. Attempt to get the sewage pumped at the marina but their equipment has not been used in some time.